The family courts were opened up to media scrutiny by the Justice Secretary Jack Straw at the end of April 2009. One year on, the Times legal editor reports that not only have family courts remained closed, but media access is even more restricted than before the reforms. The Justice Secretary’s 2009 reforms were the outcome of years of campaigning by the media and pressure groups to open up the secretive family courts. The arguments had centred on the conflict between the privacy of those involved in proceedings versus the public benefit of open justice; a balancing exercise which all public authorities are now familiar with by virtue of Article 8 of the European Convention on Human Rights (the right to privacy). It is an often quoted principle of English law that justice must not just be done but be seen to be done, and it seemed that that the family courts were moving onto that side of the balance. Section 14 of The Children Schools and Families Act 2010 provides the conditions for courts to exercise their power to relax the automatic restrictions on publication of identification or sensitive personal information in family proceedings. The test set out in that section may give the media more ammunition to use when applying for restrictions to be relaxed. However, last month a further blow was struck to open justice with the reversal by the Ministry of Justice of the judgment in Clayton v Clayton  EWCA Civ 878, in which the Court of Appeal held that reporting restrictions in cases involving children only lasted until the end of a trial. The restrictions will now be for life. 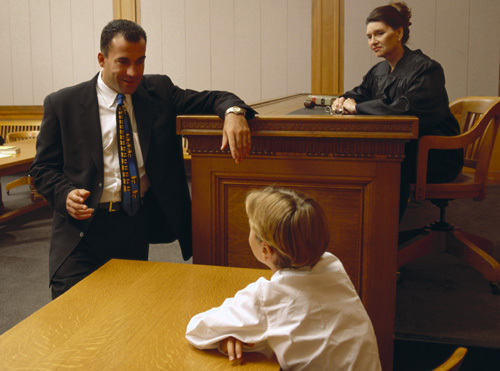 Open justice in the family courts may be an aspiration but not a reality for some time yet.